Love to people watch? Then this is the perfect room for you! Aruba directly faces the famous Capitola Esplanade. The beach is just half a block down the Esplanade and we offer beach towels in our lobby should you forget yours! 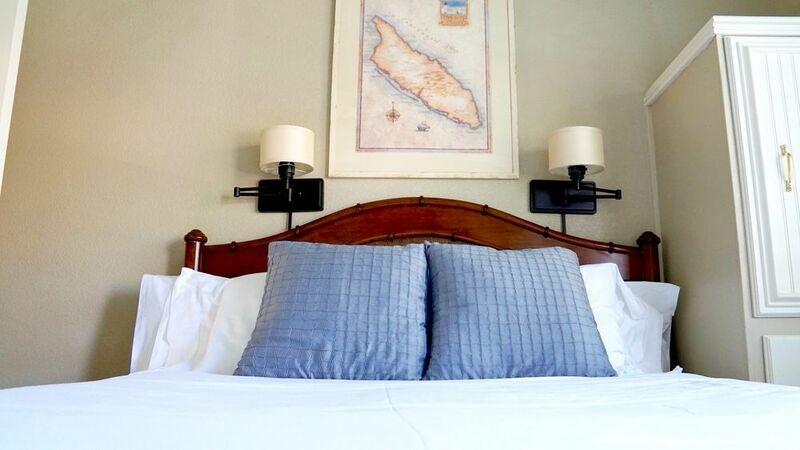 This room boasts one queen bed and private bathroom with a shower, writing desk, cable TV, free Wi-Fi, a mini fridge, hair dryer, Capitola Hotel Signature Bath Products, and an iron and ironing board. A microwave is available for use in our lobby. Maximum Occupancy for this room is two guests. Our daily continental breakfast is also included with this room. What are you waiting for, book today!